While the ARIA charts track sales from the retailer to the consumer, there is also a system in place to track the sales to the retailer from the record companies. This is what we call the Music Recording Sales Certification, or Accreditation Awards. In Australia, we give out two awards, Gold and Platinum. Gold Records are awarded to those singles that have 35,000+ units shipped, while Platinum awards go to those singles achieving 70,000+ in shipments. Singles beyond the 140,000 mark are awarded multiple Platinum awards. So, if a single is awarded, say, 4xPlatinum, it means that a minimum of 280,000 units have been shipped. Accreditations are given out as a recognition of an artists success, and can be used as a great promotional tool for touring artists. Accreditations also benefit customers not in "the business" to track the sales of a particular single without knowing the actual sales amounts. However, as record companies control accreditations, some awards leave a lot to be desired. Many singles seem to over-accredited, as they fall short on End Of Year charts. In the days of CD singles, sometimes an over supply of units with a shortfall in sales meant that a 2xPlatinum single would be nestled in within the Platinum singles on the End Of Year charts. In today's downloading market, there are many avenues to purchase mp3's that ARIA don't track, but record companies count themselves. 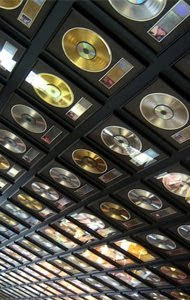 Conversely, record companies may not update a singles' accreditation, which is why sometimes we find Gold records higher up on the End Of Year charts, sometimes playing with the 2xPlatinum awarded songs. These, however, are not common problems and the majority of awards seem correct when compared to other years. Below is a concise list of as many accredited singles as can be tracked since 1989. It is a reflection of what the biggest selling singles of this time are, but not a precise calculation of actual sales. Note: The year of original chart entry is included, however, if accreditation was awarded during the following years, that is also included. That is an awesome effort to put all the accreditations in one place. Stumbled in here while trying to find out how many platinum or multi platinum singles have been released by Aussies. Noticed you have listed Guy Sebastian's Elevator Love as platinum. On the ARIA site I can only see it listed as Gold. Is it a mistake on your part, or has its accreditation been updated recently? As for the error, yes it is. I knew there would be some as I was sifting through as much information as I could over the course of a week, so fresh eyes are good to spot my mistakes. All fixed. It's really good to see all the accreditations on one page Chris. It makes it so much easier than having to look through all the different years on the ARIA site. Plus of course the ARIA site only lists them from 1997 on. I was so happy to see 8 extra years listed here. I was actually curious to know a couple of other things. 1. Were accreditations awarded before 1989? 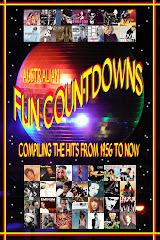 Are there any really big selling Aussie artist singles lurking in history prior to that year. 2. Or would it be safe to assume that the three idol 4 x platinum singles are are the only Aussie artist singles to ever achieve that level of accreditation? 3. Making allowances for the earlier accreditation levels of 50,000 for gold and 100,000 for platinum (not sure when it changed) would those three idol singles be the highest selling Aussie artist singles ever? I think it is safe to assume all three were legitimate accreditations. Earlier Accreditations leave a lot to be desired for the sales of single pre-1989. Accreditations certainly were awarded, and there's evidence of this in various artist posts on the net, but as you said, they were awarded at higher supply levels. I have a few end of year charts of the early 80's, and none of the singles featured have gone over the Platinum mark. Two possible reasons for this - Platinum was the highest award available even if a single sold 200,000 or more, or sales just weren't that high. A couple of re-entries of late have made earlier Accreditation figures look rather underrated. John Farnham's "You're The Voice" re-entered the charts towards the end of the 2000's with a Gold Accreditation, which, even by the old system, credits it for under 100,000 copies, which is a terrible indication of the success of the single on the charts. Moreso, "Australiana" by Austen Tayshus enjoyed a similar re-entry in 2003, credited with Platinum, no doubt, a pittance of its actual success. In fact, before all the Idol hype, taking in consideration sales adjustments over the years, I had "Australiana" as the most successful Australian single of all time. With it sitting at #4 on my list, you are correct, I would expect those three Idol singles to be the three biggest by an Australian of all time. An All Time Australian list will eventually be presented some time down the track, so keep an eye out. Hi Christopher! Can you list every australian Eric Clapton certification for pre-2000? Thanks! Thanks for that Chris. I was very puzzled at "You're The Voice" having such a low accreditation too. It seemed to be a huge hit, and of course the album it came from is 24x P. You would expect the lead single which brought John back into the limelight and set the album up to become such a massive hit would have sold heaps more than Gold. Maybe it was already heading down or already out of the charts when ARIA took over, and the pre ARIA sales were not counted by them. An all time Australian list is something to look forward to. I will definitely keep an eye on your site. Good list, is there a similar list but with albums? - Blind Faith (Blind Faith album) 3x Platinum (1980) - Blind Faith's only ARIA Album certification. Taken from Ryan Gayvins ARIA Book. Source: BMG Music International. 2004. Berlin. Warner Figures. Tears in Heaven was certified Platinum on August 23, 1993. "Girls Just Want to Have Fun" by Lauper certified 2x Platinum. "Girls Just Want to Have Fun" by Lauper certified Gold in New Zealand as well. NENA - 99 Red Balloons was certified Gold in 1985. "Time Machine" (1993) by American-Italian Rock Guitarist Joe Satriani was certified with a Gold disc in 1995 for selling more than 35,000 copies, two years after the instrumental rock album had been released by Sony Australia.